Remember he who writes the history wins the battle. 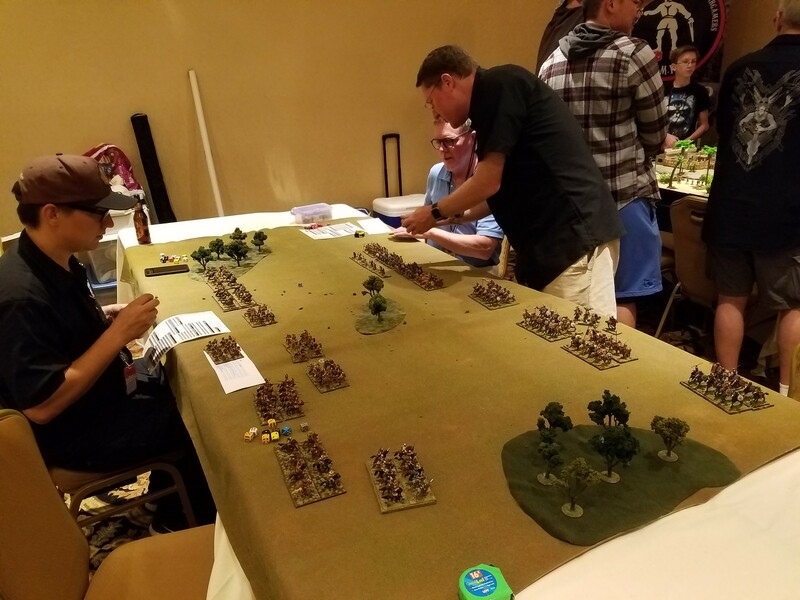 I put on a participation game last week at our local San Diego gaming con, Kingdom Con. 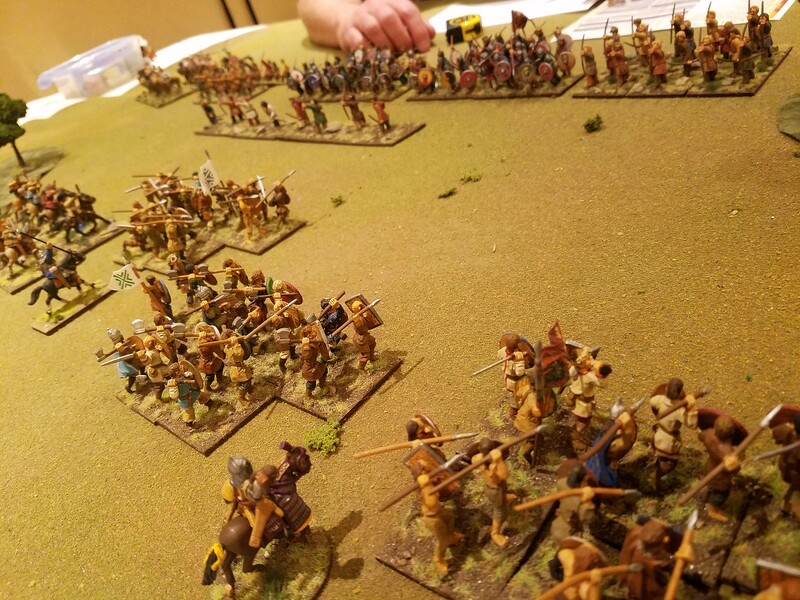 I went with a dark age battle, Gepids and Avars, at 1000 points. The Gepids were based on the Ostrogoth list with a few modifications (the addition of foot warriors). 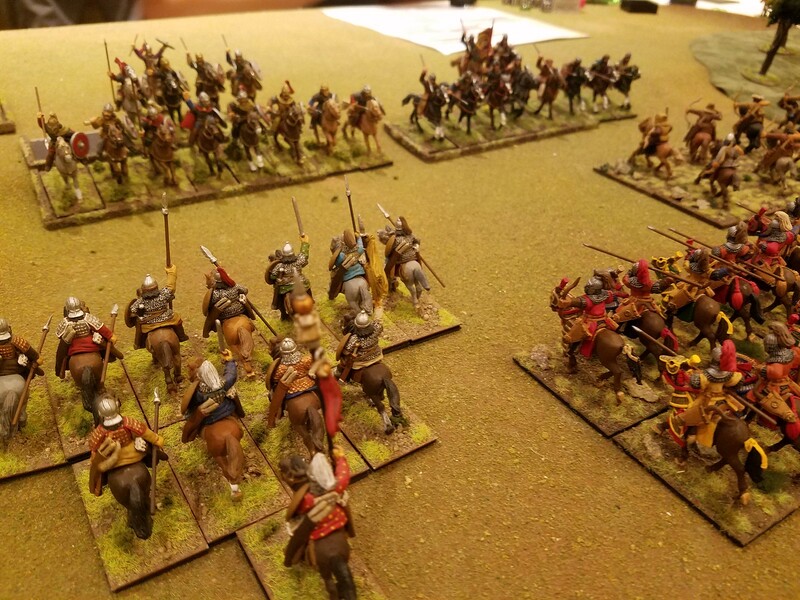 Avars - Fully kitted out Nobles, 2 x Elite Horse Arches, 2 x skirmish Horse Archers, 2 x Slav Warriors, 1 x Slav Warriors with axes, 1 x Slav Warriors with bow, General + 4 commanders. 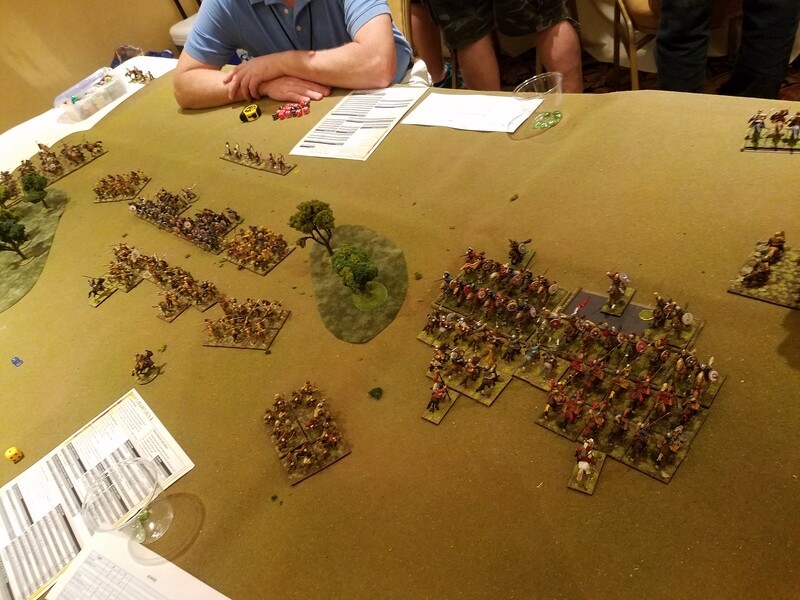 Gepids - Fully kitted out Mounted Comitatus, 2 x Mounted Elite Warriors, 1 x Mounted Warriors, 2 x foot Warriors, 2 x open order foot Warriors with Bows, 1 x skirmish infantry with bows, General + 4 commanders. Summary: Normal Cav on the flanks, infantry in the middle with one flank loaded with the majority of the cavalry. The Avars shot the unarmored Gepid cav and they broke and ran. The skirmish horse archers then swept around and sat in the back of the Gepid heavy cav shooting them as they fought a loosing, prolonged fight with the Avar nobles. The horse archers behind made it impossible for the Gepids to break off and get the charging shock cavalry bonus again. 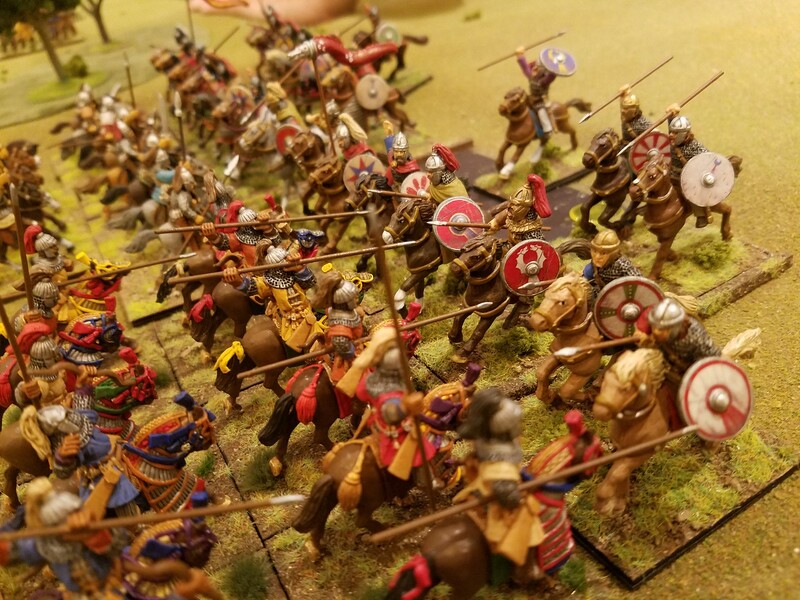 The Gepids had the advantage with the close order infantry and pushed the Slavs back until the unit of Slav axe men made quick work of some archers. 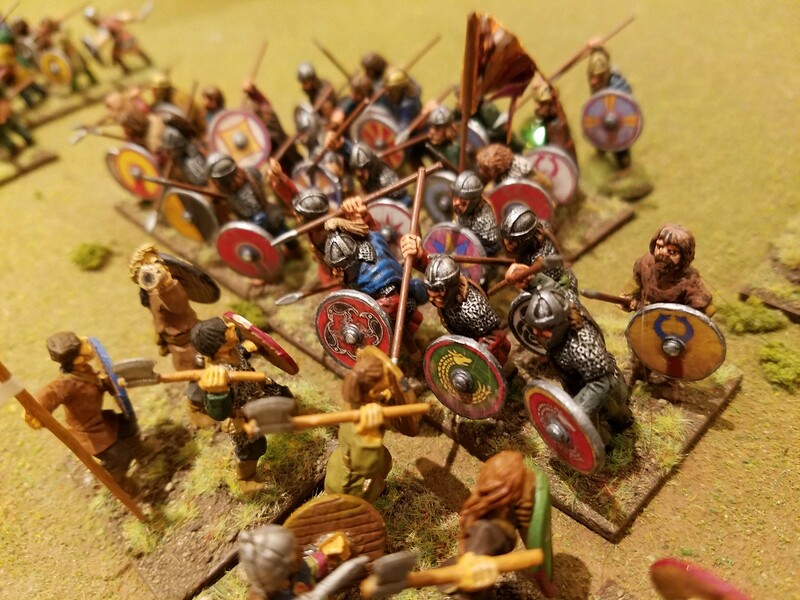 The Gepids weren't able to finish off the Slavs before the Axemen crept up behind. 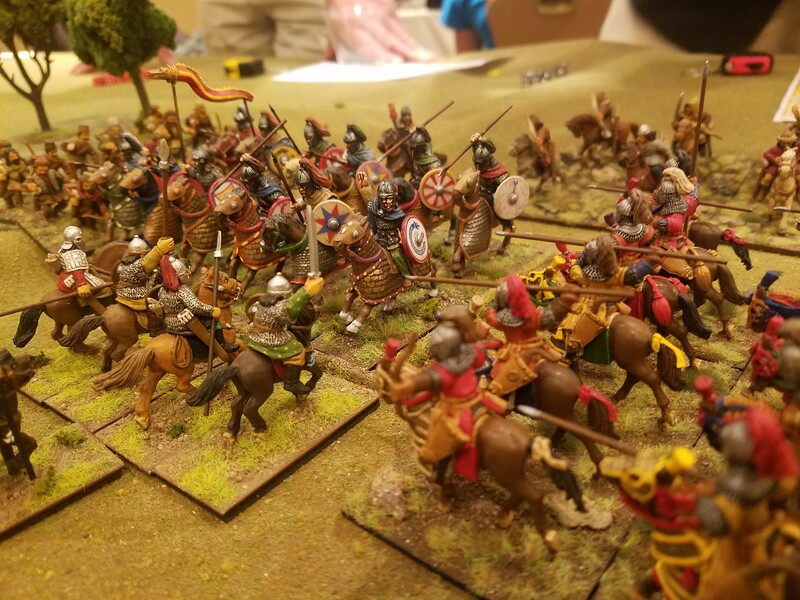 On the right, two cavalry units just fought the entire battle. No one was able to get the combat resolution to force a push back or morale check. 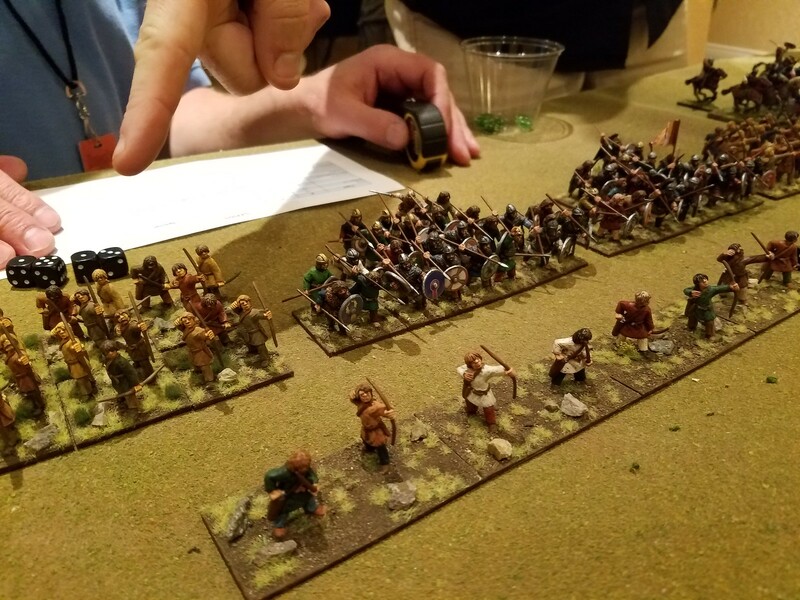 Nice game and good to see less common armies in use. Hi Rigbyp - was there much interest in the game ? We had a fair amount of interest. 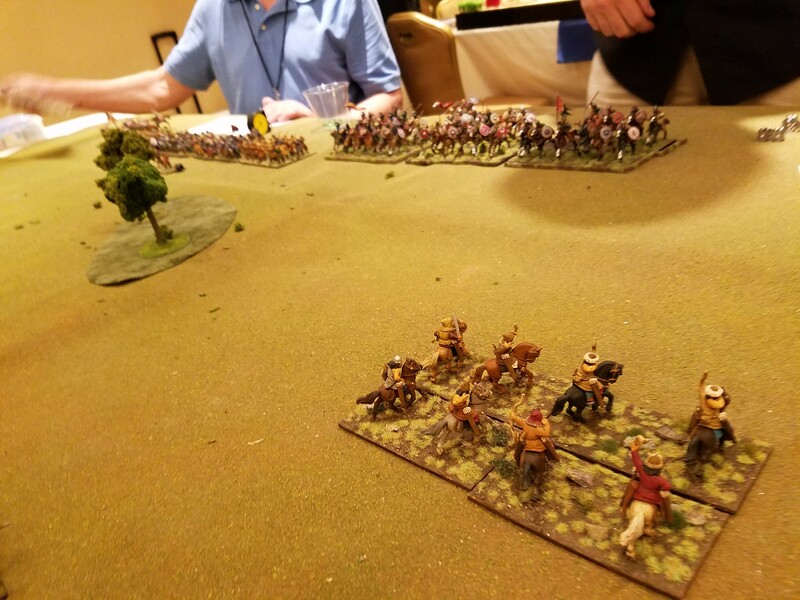 I had to schedule the game Saturday evening after the Bolt Action tournament which unfortunately was too late for some folk. I did get a few old WAB players to come out and try it. A lot of people talking to me about Swordpoint and how it plays during the con though. 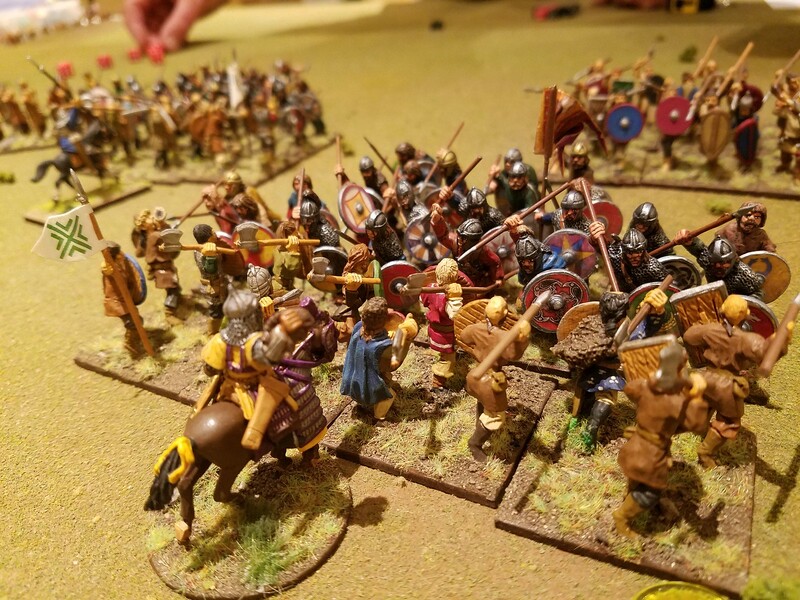 Jim has gathered a much bigger group for Swordpoint at Kublacon, one of the major Caifornia cons, later this month. I'm crossing my fingers that I can still make it up.